In interior decoration complaints, cracking of partition walls and ceiling panels has become one of the most prominent problems. The insiders pointed out that the cracking of the board has a close relationship with the design, material selection, construction and other factors. The unreasonable design, the material selection is not up to the requirements, and the construction does not pay attention to the details, which will lead to the occurrence of cracking of the board. Fourth, the material has a high water absorption rate, which easily causes the joint to crack and the surface decorative layer to peel off. Taking the most common decorative sheet gypsum board and calcium silicate board on the market as an example, the gypsum board is a lightweight flexible material, and the calcium silicate board is a brittle material, and the flexible material is more stable in impact resistance. Brittle materials are more susceptible to cracking. 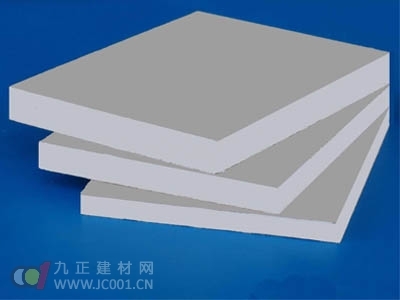 In addition, the stacking drying autoclaving process used in the production process of calcium silicate board may bring about the difference in performance of different positions of the same board, and the post-processing of the wedge board causes the performance of the finished product to change. It has also become a hidden danger of cracking. It is understood that gypsum board not only has excellent thermal insulation performance (the thermal conductivity is 71% lower than that of calcium silicate board), but also has very good function of venting and storing moisture. When moisture is high, it absorbs moisture and is dry. The moisture is released again, and the wetness and water absorption of the gypsum board are relatively low. Some technical gypsum boards can reach 0.015% and 4%.